The scandalous actions of a small number of priests and religious, and the almost equally scandalous inaction of their superiors in correcting these abuses, has profoundly damaged the image of the Church and of the priesthood in Ireland and in much of the Western world. More importantly, it has profoundly damaged the victims and their families. Pope Benedict XVI, in his letter to the Church in Ireland, has wisely outlined the path of reform for the Church. It involves a return to the sources of our faith as well as acts of reparation and penance and a recognition of the need for holiness as the antidote to scandal in the Church. Significantly, it involves remembering the rock from which we have been hewn. We must remember, and emulate, the “generous, often heroic, contributions made by past generations of Irish men and women to the Church and to humanity as a whole”. These heroes of the past show us the way to renewal of the Church and the way to Christ. They present a variety of modes of behaviour, and approaches to genuine spirituality that we can adapt for our own lives. 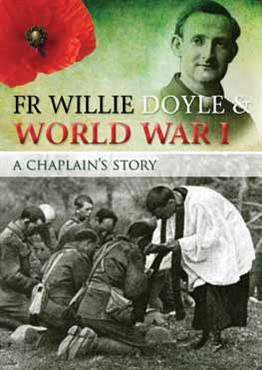 Fr Willie Doyle SJ was one of those heroes. 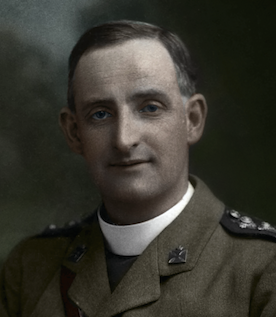 Thus, the first objective of this blog is to hold up Fr Willie Doyle as a very modern and relevant model of heroic holiness from whom we can learn today. But can we really learn much from this man, who lived and died almost a century ago, in a very different social and religious culture to our own? It would not be an exaggeration to say that Professor Alfred O’Rahilly’s remarkable biography of Fr Doyle caused a sensation when it was first published in 1920. Over the next couple of decades several editions, in multiple languages, had to be printed. It has inspired countless people, including quite a few whose causes for canonisation are making progress or have already been completed. Today the book is back in print (see here). It continues to amaze and inspire those who pick it up just as much as it did when first published 90 years ago. What was so remarkable about this book? 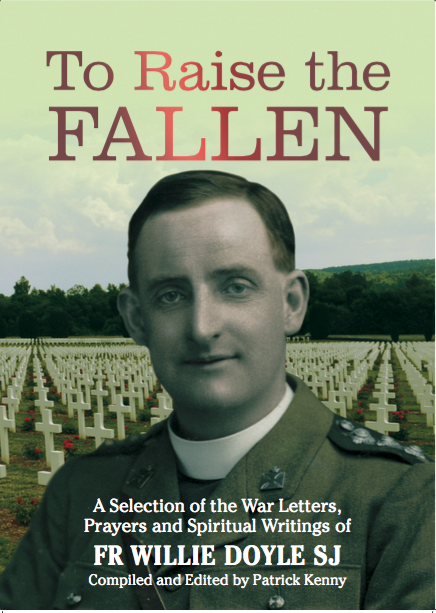 Quite apart from the gripping descriptions of Fr Doyle’s war exploits, the book provides an astonishing insight into how Fr Doyle, a weak man like all of us, gradually grew to imitate Christ more perfectly. 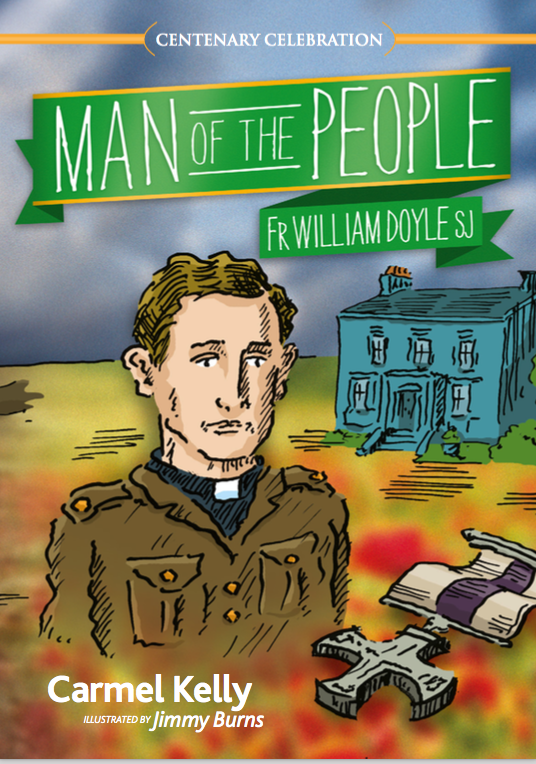 Without this long battle to overcome himself and become transformed in Christ, Fr Doyle’s utterly selfless heroism in the trenches could never have happened. All of this is revealed in Fr Doyle’s spiritual diaries and notes. He never intended anyone to see this material, and wanted it destroyed after death. We can all be thankful that this never happened, and that future generations can catch an intimate glimpse at the making of a “saint”. Fundamentally, human nature does not change, and the ultimate path to holiness – transformation in Christ – remains the same. The life and spirituality of Fr Doyle shows us one way, amongst many, of following this transformation in Christ. Yes, the writing style may be somewhat florid, and the message may sometimes become obscured by references to devotional norms that are unfashionable or unfamiliar today. But when we dig deeper, we find a compelling presentation of the Gospel message presented through the prism of Ignatian spirituality. Fr Doyle’s spiritual legacy is of particular relevance for laypeople. Fr Doyle was an ordinary man, who, with the help of God’s grace, dragged himself along the road of sanctity by daily efforts to overcome his weaknesses. Here is as man who had a nervous breakdown aged 20 when confronted with a fire in his Jesuit college. 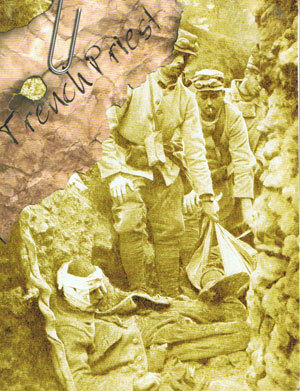 20 years later he was renowned for his serenity and courage under heavy shellfire in the Great War. How can such a radical transformation be explained, other than by his steady transformation and growth through grace. 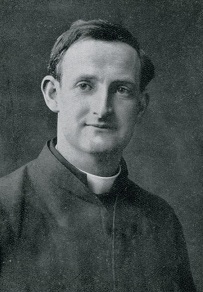 We may not be called to the sheer heights of heroism and self-denial he practiced – Fr Doyle had a particular vocation and his specific practices should not be directly imitated by others – but the basics of his spiritual approach – so similar to the little way of St Therese – are something we can all at least attempt to follow. More details can be found in the section on lay holiness here. Thus, the second reason for this blog is to present Fr Doyle’s vibrant spirituality for a modern audience. This is especially important because his war exploits often overshadow his spiritual exploits, but he would never have had such courage under fire were it not for his years of patient spiritual training. If this blog helps further Fr Doyle’s cause for beatification in some way, then that is a bonus. However, it is not formally associated with that cause, although clearly it would welcome progress in that area. This blog aims to be a central resource on materials relating to Fr Doyle, his life and his spirituality. 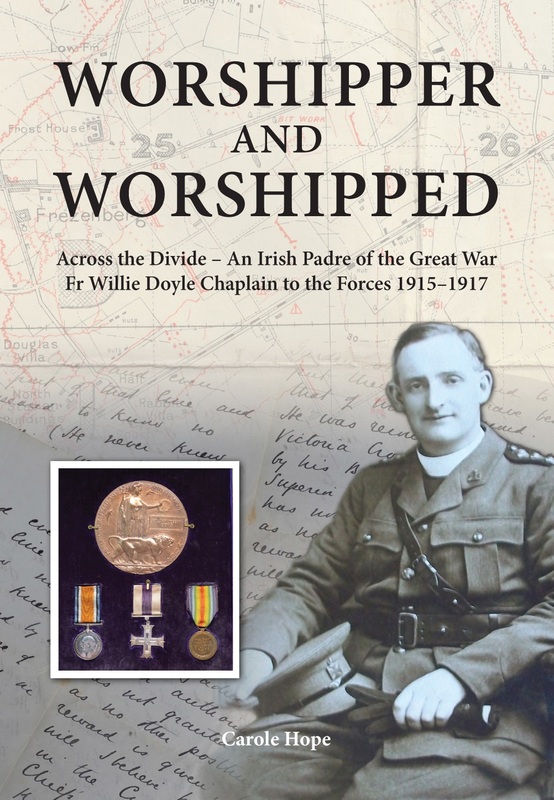 It is primarily focused on his spiritual message, but the blog also has an interest purely secular and historical studies about Fr Doyle’s life, especially his exploits as a military chaplain. Readers are actively encouraged to make comments and to get involved. The blog is updated (almost) daily with quotes from Fr Doyle and commentary, or with recollections on what Fr Doyle was doing on that particular date in his life. I am delighted to know of the launching of this blog. Fr. Willie Doyle is certainly of figure who deserves to be better known not only in Ireland, but throughout the world. May he one day be raised to the honors of the altar! Thank you, Msgr. Calkins, for your comments. Yes, I greatly hope for the day when Fr Doyle is raised to the honours of the altar. THRILLED to see this blog. What is the status of Fr. Doyle’s cause? I have read this book and have great devotion to him. I know St. Josemaria Escriva referred to him in his book The Way on his mortifcation of butter! I hope his cause will go forward and many aspects of his life I wrote down from his book and put in my diary so that I could implement them as best I could. Glad to see this blog! I stumbled upon your blog as I was looking for material for our weekly Ninevite Prayer Group of Reparation. As we read about the life of a saint or blessed who did penance or reparation (ONE page only! ), I would like to use his life. Thank you! In case you didn’t see it PK, Andrew O’Connell mentions this site on the back page of this week’s Irish Catholic newspaper. Yes, I saw that. Many thanks though for the tip-off. May I ask if a cause for his beatification has been opened? It is so sad that his cause was dropped by the Irish Jesuits. I once found a card for his Beatification inside another book.Someone told me that the modern Irish jesuits did not believe that his ideas,theology and spirit were suitable for the modern post Vatican II church and so devotion to him was eliminated.What about Fr John Sullivan, another heroically holy Irish Jesuit ? His biography was one of the first Catholic books I read when a protestant schoolboy In Northern Ireland. It was given to me by a Sacred Heart Nun. Please, please let me know that there are believing Catholic Irish still out there! I’ve had the worst tongue-lashings in the last few years from former Catholics! It warms my heart that Fr. Doyle may be a saint in Heaven, even if the Jesuits have forgotten him! Fr, Doyle, when canonised could be called a Martyr of the Last Sacrament (Sacr. of the Sick), in addition to bein a martyr of Charity..
As Priest and Prophet the life of Fr. Doyle is the life of an Irishman who endured much in response to his Gospel calling and gave up his life in the service of that very Gospel. We Pray that the life of Fr. Doyle will be a source of inspiration to those souls who find the Christian journey laden with difficulty and discouragement. Wonderful to find this blog – thank you so much. I’m just re-reading Fr O’Rahilly’s biography for the third time since becoming a Catholic 15 years ago – always inspirational. Thank you Sue. Yes, it is an incredible book! And there is some new information on the issue of biographies – a brand new biography of Fr Doyle will be published next week, the first time since 1939! I will post information in the coming days. The site is updated (nearly) every day, so make sure you check back! Appreciate Fr. Willie Doyle’s communique and a blog living well after his passing! I especially like his essay on “time” Thanks again to FrDavid AbernethyCO @pghoratory on twitter for sharing. SO happy to have found this blog! I am reading “To Raise the Fallen” and can’t wait to browse this site when I have some time later today. God bless your efforts and may Father Doyle through God’s Graces bring back many to the fold.